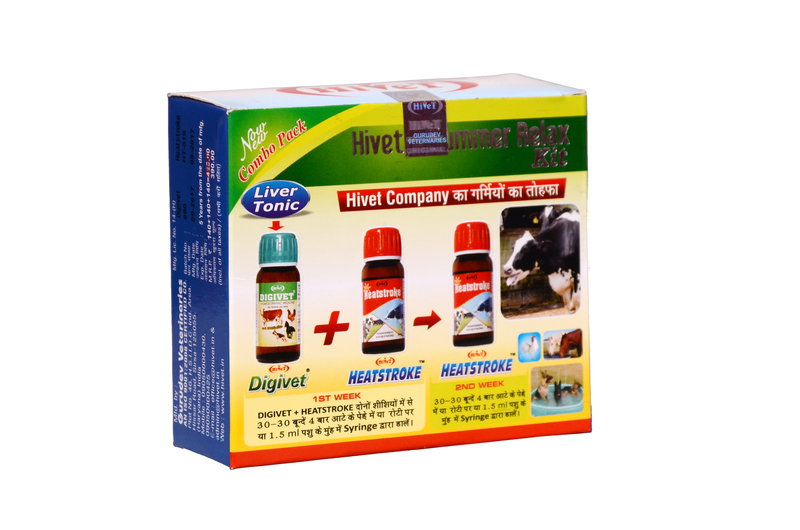 In extreme summer animals get less appetite it has Digivet which will activate Liver and heatstroke to deal with side effects of excessive heat. पषु कुत्तों सभी जानवरों को गर्मीयों मे हांफना. पहले 1 Vial Heatstroke and 1 vial Digivet खत्म करे लें बाद में अगले 7 दिन 1 Vial Heatstroke देते रहें ! 30-30 Drops 3 times over Roti or 1.5 ml. Direct ly in mouth with syringe.